As pianist Howard Shelley has performed, broadcast and recorded around the world with leading orchestras and conductors including Vladimir Ashkenazy, Pierre Boulez, Sir Adrian Boult, Andrew Davis, Mariss Jansons, Gennady Rozhdestvensky and Kurt Sanderling. During the fortieth anniversary of Sergei Rachmaninov’s death he became the first pianist ever to perform the composer’s complete solo piano works in concert. 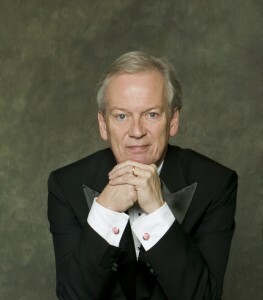 In 1985 Howard Shelley made his professional debut as a conductor and now most of his engagements are as conductor or in the dual role of conductor and pianist. He has conducted the London Philharmonic Orchestra, London Symphony Orchestra, Royal Philharmonic Orchestra and the Royal Scottish National Orchestra, amongst many others. He has held positions of Associate and Principal Guest Conductor with the London Mozart Players in a close relationship spanning thirty years. Howard has also been Principal Conductor of Sweden’s Uppsala Chamber Orchestra and works closely with the Orchestra di Padova e del Veneto in Italy, Warsaw’s Sinfonia Varsovia, the Orchestra of Italian Switzerland and the Tasmanian Symphony Orchestra in Australia. His extensive and varied discography for Chandos, Hyperion and EMI includes Rachmaninov’s complete piano music, many British works and world premiere contributions to Hyperion’s Romantic Piano series, a complete (14 x CD) survey of Clementi’s sonatas and the complete works for piano and orchestra of Beethoven as conductor & soloist. Shelley was appointed Officer of the Order of the British Empire (OBE) in the 2009 New Year Honours. Everyone Matters is delighted to have Howard on board as our charity patron. 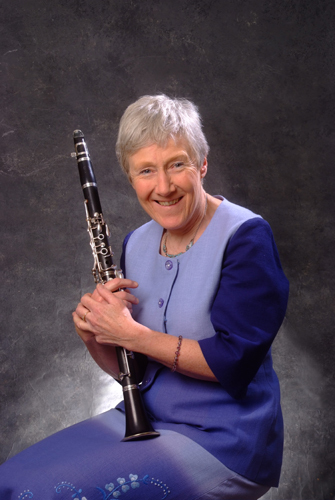 Margaret Archibald brings her infectious enthusiasm for music to every situation and embraces the wealth of opportunities her career presents to share music with others as recitalist, chamber musician and orchestral player, teacher, coach and lecturer. Margaret Archibald has travelled to Japan, the USA and Europe with specialist period instrument orchestras, performing on a wide range of period instruments from the late Baroque, classical and romantic periods. A member of the choir of the London Oratory for seven years before the birth of her son, Margaret has recently revived her singing and is currently exploring songs from the ‘30s. Margaret launched Everyone Matters as an independent service dedicated to offering workshop and performance projects for the wider community. She was Education and Community Manager of the London Mozart Players for twenty-one years and devised a string of projects to engage groups from under 5s in nurseries and playgroups to over 90s in nursing homes and day care centres and she also created extensive programmes of music workshops for primary age children in out-of-school clubs and creative music recording workshops for adolescents in youth clubs. Margaret coaches the clarinets of the Kent County Youth Orchestra and also coaches adult amateur clarinettists on residential courses held at Little Benslow Hills in Hitchin. 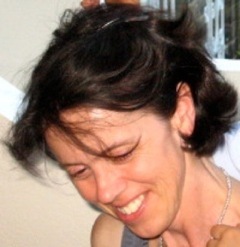 She also teaches privately and has recently started teaching period clarinet at Trinity College of Music. For more about Margaret please visit her personal website here. Lauren Potter is an independent dance artist/teacher. Originally trained at The Place (London Contemporary Dance School), she was a member of London Contemporary Dance Theatre for many years and following this a founder member of Siobhan Davies Dance. She has since performed and taught with a diverse range of Companies and Choreographers both Nationally and Internationally, including DV8 Physical Theatre, Jonathan Lunn, Ashley Page and Rosemary Butcher. Most recent performances include ‘Pioneers of the Downtown Scene New York 1970s’ – a Barbican exhibition, and ‘Long Walk Home’ – a women’s quartet commissioned by The Place and choreographed by Darren Ellis. Lauren also spent some years in the post of Artistic and Rehearsal Director for ‘Edge’ – The Postgraduate Performance Company at LCDS, and she now continues to teach there on a freelance basis whilst also continuing her regular teaching within the independent dance circuit. Stephen Haylett read for a music degree at Royal Holloway, London University, and whilst there he studied organ with Dr. Harry Bramma. Soon after graduating he gained diplomas in organ and piano performance. Stephen worked for both the BBC Radio 3 Music Department and as a reviewer for BBC Music Magazine for nine years, after which he undertook post-graduate training as a music therapist at Guildhall School of Music and Drama. He now works as a music therapist both within the NHS and special education schools and colleges, (Orchard Hill College and Rutherford School) and has recently completed a Masters in Music Therapy at Roehampton University. He is an active member of the British Association for Music Therapy, chairing the South London area of the Association, and also gives presentations on music therapy at conferences. He has been Director of Music and Organist at Trinity Church, Sutton since 1993, and during his tenure the choir has sung several of the great masterpieces of the choral repertory, including recent performances of Haydn’s Nelson Mass, Faure’s Requiem and Handel Coronation anthems, all in collaboration with the Bernardi Music Group. Stephen has also directed the choir in BBC broadcasts, most recently a live ‘Sunday Worship’ service on BBC Radio 4. In his spare time Stephen works as a freelance organ accompanist to local choral societies, and sings with the Holst Singers under Stephen Layton, with whom he has appeared in concerts at the BBC Proms, and recorded works by Pierre Villette, Veljo Tormis, and Russian choral repertoire, all on the Hyperion label. 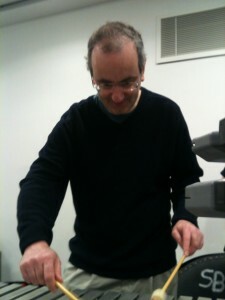 As well as music-making, Stephen is part of the South London brigade of Manchester United FC supporters!